In 1923-24, Newfoundland issued a handsome engraved Tourism set showcasing the colony's natural beauty (Scott #131-44). 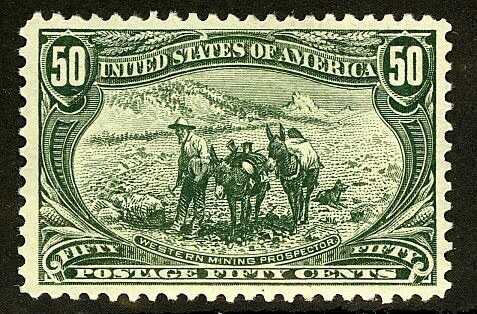 Only 25,000 sets were issued, and Scott '11 prices the unused set at $162.05 ($250.- for NH). 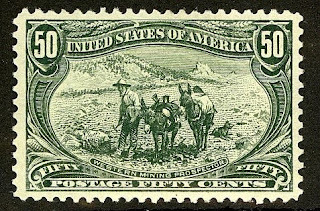 In all probability, many of these stamps were used as postage and discarded. 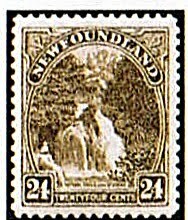 Many of the better stamps of Newfoundland were issued in modest quantities. I intend to revisit them in the future, as I am "doggedly bullish" (to badly mix metaphors) about better British North America in general. This area is very popular among collectors of both Canada and British Commonwealth, and the better items represent solid investments, as interest in stamp collecting in Canada is much stronger than it is in the U.S..